Art Factory Body Art & Party Place: Is it okay to reuse glitter tattoo stencils? 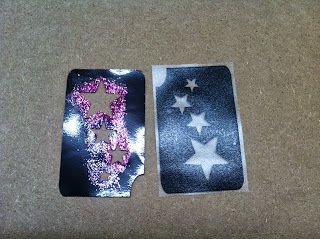 We get asked often if it is okay to reuse glitter tattoo stencils. 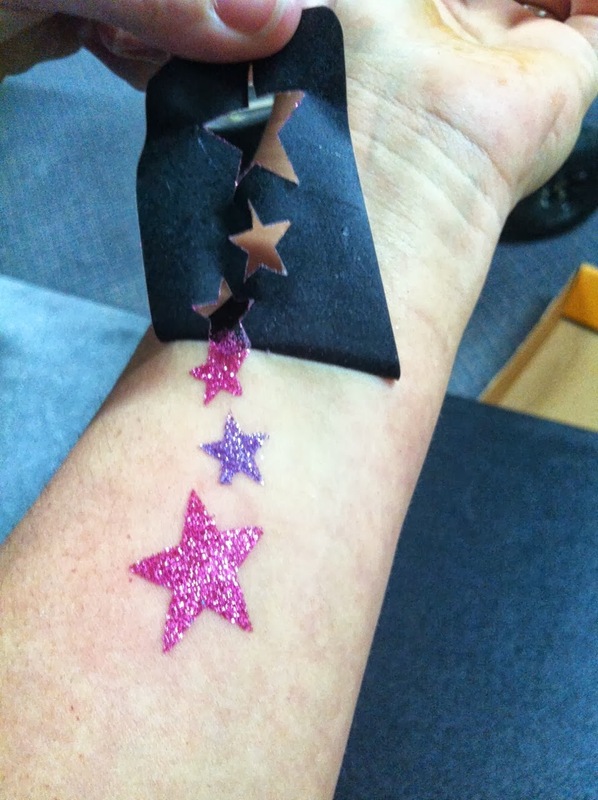 We recommend using one glitter tattoo stencil per person for a number of reasons. The first reason is simply, hygiene. Even though you may clean the skin with rubbing alcohol before applying the stencil, hair and skin cells are going to stick to the stencil. 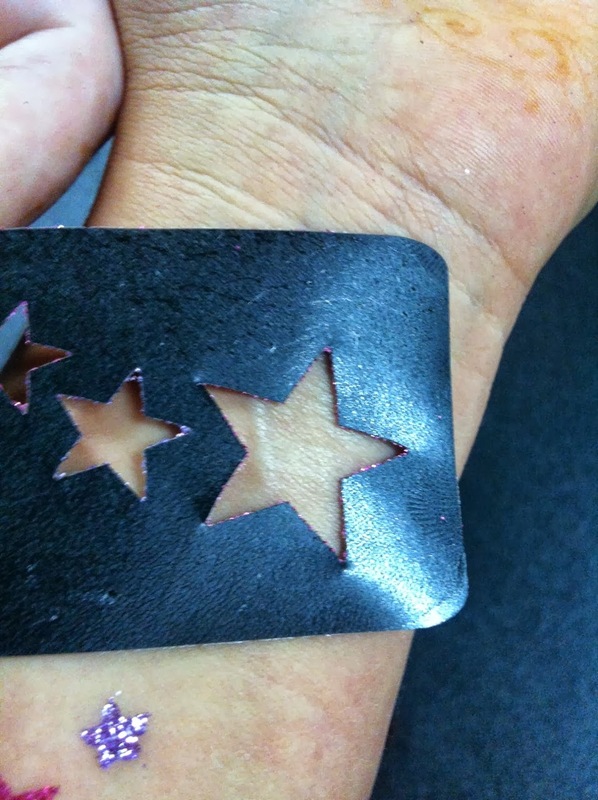 If you reuse the stencil, those skin cells are going to be transferred to the next person, and then the next. The ick factor alone is enough to decide to use one stencil per person, but read on! damaged during removal. A rip, tear, or stretching of the stencil will not ruin the glitter tattoo if you are only using it on that one tattoo. If however, you were planning on reusing it, you may run into problem. Also, taking the extra time to ensure that the stencil comes off perfect will cost you in the long run if you are working a big paid event and counting on turn over! The last reason we’ll mention today is the fact that every time glitter tattoo glue is spread over a tattoo stencil, it will dry. When it dries over the tiny details in your tattoo stencil, that design will not be as crisp, and if used again, will compromise the look of the tattoo. 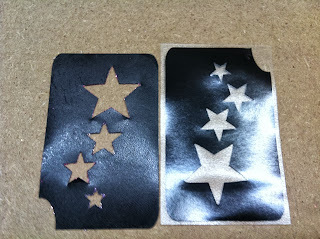 The YBody glitter tattoo stencils start at $0.60, so if you do 20 stencils in an hour, that’s a cost of $12. Most of us who are doing this professionally are charging much more than that per hour. If you are doing festival type events, charging $5 per tattoo is pretty typical, so $4.50 per tattoo is a great profit! Not enough profits? Consider buying in bulk. $0.60 may sound like a lot per stencil but our website offers an automatic discount when buying in bulk. Our stencils instantly become wholesale when ordered in large quantities.